So I guess you will always have those moment you're not very likely to forget during your lifetime. 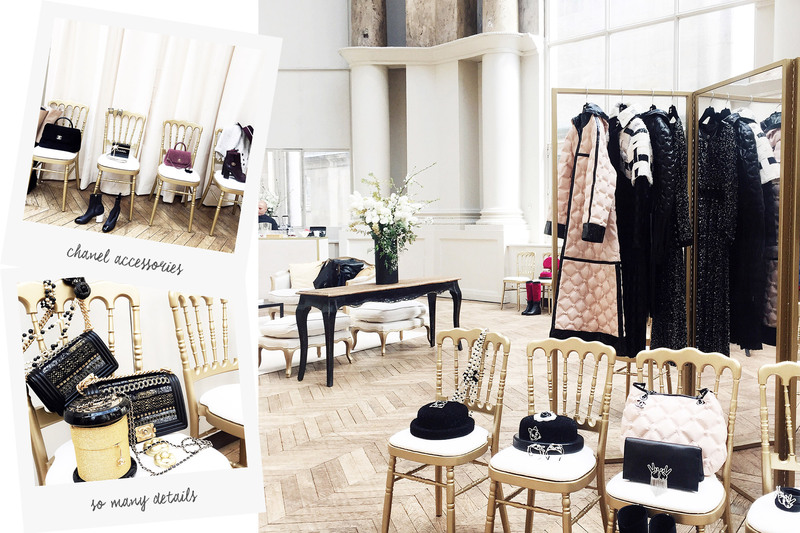 I think I've had a couple of those already but another one that is definitely going into my mental memory bank is being invited to the Chanel showroom to have a little look at the collection up close and personal. For anyone who watched my Snapchat that day, you know I went a little bit crazy since it was such a beautiful set up but for those of you who didn't, I hope you can get a little feeling of what it was like through these photos. So many details everywhere, so many accessories, little bracelets, coats, boots and sparkly things wherever you looked. Memory saved!